There’s nothing like an updated kitchen to make the whole house seem fresher, brighter, and more livable. If the kitchen-renovation bug has bitten you, before you turn another page of that remodeling magazine, keep in mind these few practical tips that will help you keep your needs and dreams in alignment. First and foremost — How much do you want to spend? Do you have enough savings set aside to complete the whole project with cash, or will a loan be necessary? If you need a loan, what type makes most sense for you — a home equity loan, a second mortgage, or something else? Many types of financing instruments are available, and you’ll want to thoroughly explore the pros and cons of each before plunging in to your project. 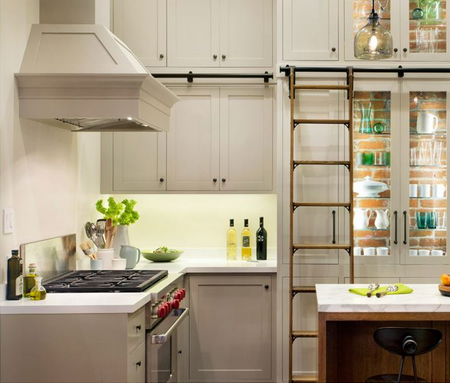 Consider your lifestyle — With a typical kitchen remodel costing upwards of $50,000 and double that or more for a luxury revamping, you’ll want to make sure you get the most out of every dollar you spend. If your dream kitchen has every appliance known to mankind but your idea of fancy cooking is limited to an occasional holiday family dinner, trim your aspirations back a bit. But if your kitchen paradise will let you spread your culinary wings to new and exotic heights and entertain like a master chef, by all means buy the best and most versatile appliances you can afford. At either end of that spectrum, you’ll be happier if your dreams fit your personal reality. Splurge on luxury appliances or buy budget brands? — If you’ve looked at home improvement magazines lately, you know there’s a dazzling menu of appliances to select from. From simple standalone gas or electric stoves and basic two-door refrigerators, to state-of-the-art kitchen innovation suites with dual convection steam ovens and multifunction gas, electric, or induction ranges and cooktops, plus accessory appliances like dual-temperature wine storage units or warming drawers, there’s an appliance and price range for every budget. Always buy the best appliances you can afford, because better appliances generally last longer and perform better throughout their lifetimes. Before you buy, compare not only prices and features, but go online and compare each manufacturer’s warranty information. Sometimes what seems like a great deal in the showroom doesn’t stand up to scrutiny of its warranty terms. Investment in your home — If you’re contemplating a major kitchen renovation, chances are you’re planning to stay in your home at least five more years. If that’s the case, appliances are an important part of your investment equation — and you’ll have the long-term pleasure of using the best you can buy as long as you live in your home. But if your remodeling goal is simply to make the property more attractive to prospective buyers, keep your expenses to the basics: painting, cabinet trim and hardware, and updated flooring, for example, plus new basic appliances if the existing ones need replacement. Don’t invest money you can’t recover in a sale, and don’t expect the home’s value to rise above that of comparable houses in the neighborhood, because an expensive kitchen alone won’t compensate for location, location, location. Whatever your budget, make your new kitchen a place where you enjoy being and family and friends can gather and feel welcome, because the kitchen truly is the heart of the home.